All trails are now closed for the winter. Explore our website for more information on Skiing & Snowboarding, Nordic Skiing & Snowshoeing, Ice Skating, and more frozen fun! In this part of the state, hiking is in a class of its own. To help navigate through the high-alpine trail routes we call paradise, please review our Mountain Village Hiking and Biking Trails Map. Please note, dogs are allowed on trails but make sure you pick up after your pet. Bags are provided at trail heads. 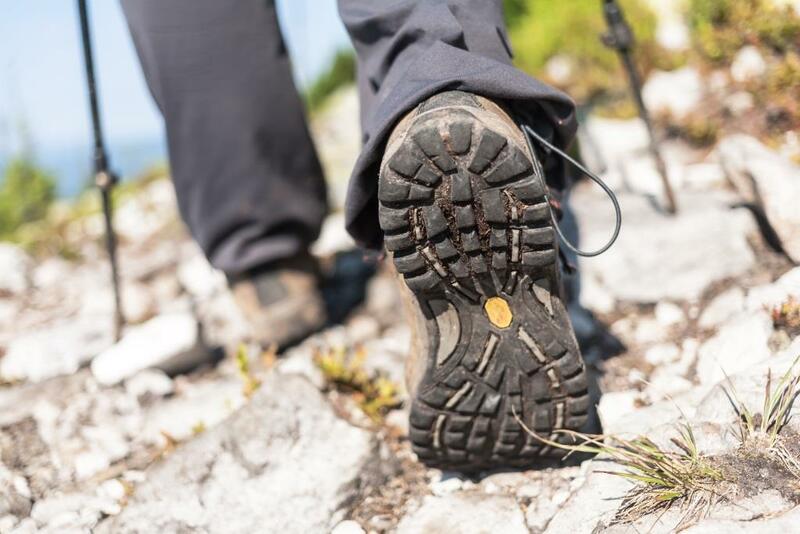 You have no idea how much we – and your fellow hikers – appreciate you when you use them. On a different note, we can’t express to you enough that our trails are not patrolled and there are risks associated with strenuous physical exertion, so be sure to review our Mountain Activity Safety guidelines. Most importantly, have fun … and share your memories on Facebook, Instagram and Twitter! Beginning on the south side of Country Club Drive in Mountain Village, this refreshing 0.5-mile trail winds down 200 feet and ends at Big Billie’s Apartments in the Meadows neighborhood. From Lost Creek Lane near Mountain Village Center, this easy 2.5-mile trail begins on a paved surface and continues to Town Hall Plaza. Once at Market Plaza, the paved trail becomes a natural surface trail and continues west towards Highway 145 and the entrance to the Town of Mountain Village. Watch for signage and pedestrian crossings. This scenic one-mile trail begins on the north side of Country Club Drive in Mountain Village and to the left of the Boomerang Trailhead, then follows the ridge west and 300 feet down into the Meadows neighborhood. Starting in the Meadows neighborhood in Mountain Village, just up the road from where Adams Ranch Road crosses Prospect Creek and 0.5 mile west of Big Billie’s Apartments, this one-mile trail drops 200 feet to the Lawson Hill neighborhood and Highway 145. This 0.2-mile trail starts at Station St. Sophia and offers a bench with scenic overlooks of the Telluride valley below. From the intersection of Adams Ranch Road and Russell Drive, this easy one-mile trail begins on the shoulder. The trail continues below Russell Drive onto a dirt surface and connects with the Meadows neighborhood. From Prospect Trail or Basin Trail, this trail follows a historic Forest Service dirt road approximately two miles to scenic Alta Lakes and the historic mining town of Alta. Vehicles may be encountered. Beginning on the north side of Country Club Drive in Mountain Village and to the right of the Jurassic Trailhead, this steep one mile abandoned mining road descends through the Uncompahgre National Forest to the Valley Floor below. Expect a 700-foot elevation change. Beginning and ending at Station St. Sophia and with an elevation change of 170 feet, this dirt ski service road is a short 1.3-mile loop starting from and returning to Station St. Sophia. It crosses over Telluride Trail, Lookout and Milk Run ski trails and serves as bike access for the See Forever Trail. Ten miles in length and the longest single-track on the ski area, this trail begins at Station San Sophia and traverses across numerous ski trails under Lifts 4 and 5 and into Prospect Creek. After crossing Prospect Creek, the trail climbs through dense forest to the top of Lift 10. This trail then continues two ways: either along the upper loop through Prospect Basin or a shortcut past the teepee and the top of Lift 10 before the descent begins to Market Plaza. For a longer hike or bike, Prospect Trail also connects with the Boomerang Trail which leads to Alta Lakes. For hiking only and beginning at Station San Sophia, this two-mile trail drops 1,000 feet to Station Mountain Village and Mountain Village Center. With its valley views and peaceful switchbacks throughout the aspen forest, and benches to rest while taking in the surroundings, this trail is a local favorite. Do watch for a fork in the trail about 0.2 miles below the radio tower as the route to the right is more rocky and steep. This two-mile trail begins at Station San Sophia and continues to the right, where the trail forks near the top of Lift 4. It then follows a dirt ski service road to the winding, steep and paved San Joaquin Road, one mile from Mountain Village Boulevard. Vehicles may be encountered. From Station San Sophia, this rolling three-mile descent crosses several ski trails with great views to the west while traversing through aspen and spruce-dominated drainages. After crossing Prospect Creek Drive, this trail descends into a creek bottom, crossing the wetland on a boardwalk, and then continues down and connects with the Boulevard Trail, providing access to Market Plaza and Mountain Village Center. Beginning at Station San Sophia, this trail forks with the Sheridan Trail and continues left, past the snowmaking storage ponds and gate, for six miles on a dirt ski service road. There are 2,240 feet of steep climbs and descents past the top of Lift 5, the bottom of Lift 14, past Lift 12 and down through the ski area to connect with Prospect Trail. Vehicles may be encountered. The hiking-only portion of this trail starts 0.2 miles south of Station St. Sophia. For bikers, the access point to the See Forever Trail is from Station St. Sophia via the Coonskin Loop Trail. Steep and strenuous, this dirt ski service road climbs along the ridgeline 1,710 feet in 2.8 miles to the Wasatch Connection Trailhead. Vehicles may be encountered. With 360 degree views of surrounding mountain ranges and peaks, this trail is often combined with the Wasatch Connection to the Wasatch Trail to form an all-day, 8.3-mile, 3,510-foot steep descent onto Bear Creek Trail, leading into the Town of Telluride. Accessing this trail from either the Town of Telluride or off Coonskin Loop Trail in the Town of Mountain Village makes no difference: either way its 2.6-miles of steep, rocky terrain only accessible on foot. Sorry to shout, but NO BIKING ALLOWED as people have been hurt doing so. This trail follows a dirt ski service road from Station San Sophia 1,800 feet down to the Town of Telluride. Vehicles may be encountered. This steep and rocky 1.4-mile trail connects the See Forever Trail to the Wasatch Trail that leads to the Bear Creek Trail. The Wasatch Connection drops off the back side of Gold Hill. Combine these trails for an arduous, day-long adventure.